Broken and vulnerable from depression and grief, artist Rae Newborn chooses to isolate herself to heal and rebuild a family cabin on Folly Island. Soilitude and physical work enable her to set aside much of her paranoia, but the sensation of being watched persists. The author of The Beekeeper's Apprentice series, this is a great one-off. 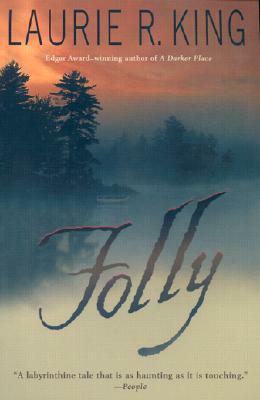 With Folly, award-winning author LAURIE R. KING once again powerfully redefines psychological suspense on a sophisticated and harrowing new level, and proves why legions of readers and reviewers have named her a master of the genre. "Acclaimed mystery writer King has crafted a labyrinthian tale that is as haunting as it is touching."